“On Becoming Truly Human: The Significance of the Reformation Distinction between Person and Works for the Self-understanding of Modern Humanity,” Theological Essays, vol. II (Edinburgh: T&T Clark, 1995), p. 236. I find this fascinating because while at a Lutheran seminary I was taught that you cannot seperate the sin from the sinner, that they were inextricably intertwined. Indeed, that a person’s actions, to a certain extent, defined that person. It was said that the folksy statement, “Hate the sin, love the sinner,” is poor theology and patently incorrect. It would seem that Jungel would agree with the intent of that statement which implies that sin and sinner can be/must be seperated at least at the point of forgiveness and release. Bryce, Jungel does not wish to separate action and person, but rather the doctrine of Justification demands that action and person be distinguished. Since in Justification our being is determined by God, it is not determined by our works. We wish to have our works determine our being; consequently the law which accuses our works also accuses our being. Yet this being is to be understood as un-being (non-existence, or nothingness). I think my use of the word “separate” was poorly chosen. Distinguished, as you use, is definitely a more salutary way of expressing what Jungel is getting at. A person is not defined by their actions or utility. Human rights are not defined by what an individual does _for their society_; due to the content of the gospel (God the Son’s historic incarnation, cross, and resurrection) the human person is dignified regardless, all on account of what the savior has done _for them_. I really want to read more of this. Seeing that I don’t read German, does anyone have an opinion on the particular translation used? . If you’re interested in Jüngel, the best place to start is his volume on justification (called “Justification”), and the two volumes of his essays. He’s an exceedingly precise theologian, well versed in ancient and continental philosophy. 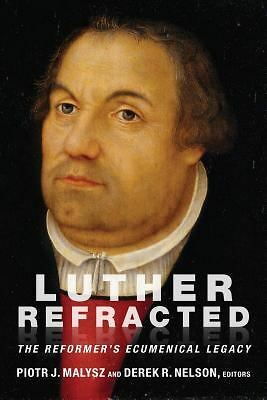 His appropriation of the Lutheran tradition is both faithful and responsibly critical. Highly recommended!